Supawood access panels allowing for a neater finish. Concealed ceiling access panels which allow for easy and direct access to services in the ceiling cavity. Concealed doors in walls which provide access to services or storage areas hidden away behind the walls. Entire ceilings which can be more easily accessed with 'lift & shift' or rebated 'drop in tile' type systems. Single access panels or doors which are totally integrated so they disappear into the panels around them. Floating solid, slatted and perforated panels which conceal services above or behind them. Lightweight beams which can be quickly removed for easy access. All Supawood products can be adapted and customised to accommodate hidden access to service. Please look at the pages in the product section of the website or contact us for more information about a particular product. Supplied with fixings to adjacent panels. Can be wholly enclosed within a panel. 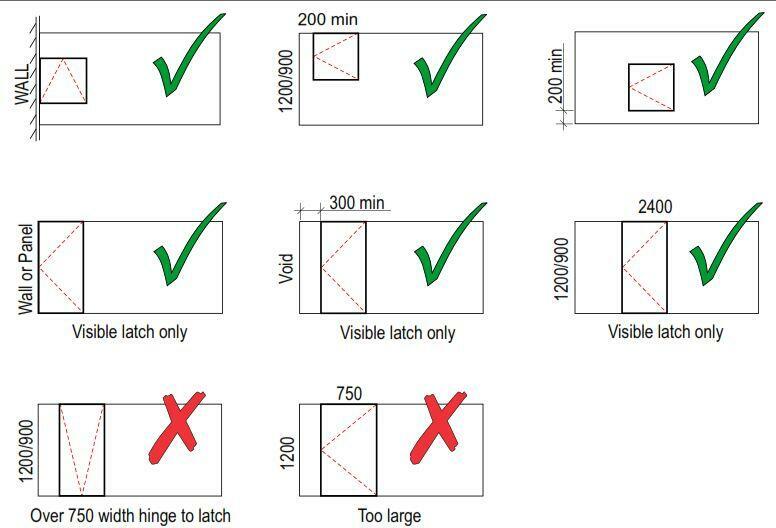 Maximum 0.75m² surface area of hatch. Maximum 750mm from hinged edge to opposite side. Standard Sizes: 1190 x 590, 890 x 590, 590 x 590. SW500SB can be installed removable (e.g. for replacement of transformers on stair way lighting). e.g. electrical cabinet doors, SUPAWOOD panels can be supplied to be fitted to pivot doors or doors with wide throw hinges by others. Concept details available.